Sri Lanka will soon raise US $ 500 million by selling ‘Panda’ and ‘Samurai’ bonds in China and Japan for the first time, in an effort to expand the country’s investor base. A Samurai bond would allow Sri Lanka to tap into the Japanese bond market, while a Panda bond would allow Sri Lanka to enter the Chinese capital market. “We will start calling for expressions of interest either this week or next week to appoint the lead managers,” the official said requesting anonymity, as he was not authorized to speak to the media. The official further said Sri Lanka will also issue US $ 250 million worth of Samurai bonds in Japan with the guarantee of Bank for International Cooperation (JBIC). “We are getting the yen money from local investors; typically the yen investors want higher ratings. However, with our B1 rating, we cannot get a good response from Japanese investors. That’s why we need the guarantee from JBIC for investors. With JBIC’s guarantee, Sri Lanka’s rating will be enhanced and we can bring down the cost as well,” the official said. The CBSL is soon expected to enter into an agreement with JBIC for the guarantee cover for Japanese investors. 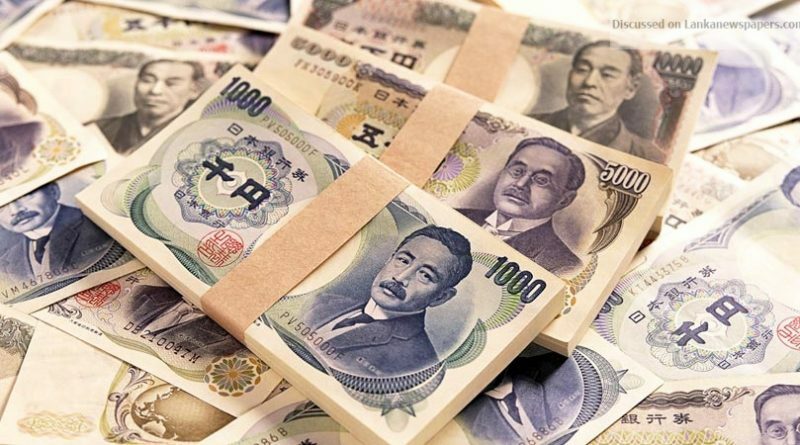 The yen-denominated Samurai bond issue in Japan is likely to take place by end of this year or early next year, depending on the market conditions. The official emphasised that if these issuances are successful, Sri Lanka can penetrate into these markets diversifying its investor base. The Cabinet of Ministers recently approved a proposal presented by Finance and Mass Media Minister Mangala Samaraweera to explore ways to raise funds from non-dollar-denominated currencies. The CBSL official pointed out that with the Active Responsibility Management Act coming in, the CBSL would have more flexibility to manage the country’s debt in an efficient manner. “Let’s say there’s a bunching of debt in two years, we will address the bunching issue before the maturity, that’s what is happening now,” he said. Moreover, the CBSL official acknowledged that both the Chinese and Japanese governments have been supportive towards Sri Lanka’s initiatives to sell bonds in their markets. “China is very positive. They were the ones who suggested appointing two committees from the CBSL and Bank of China. Sri Lanka’s official foreign reserves remained at around US $ 8.4 billion as of last week.